Silver bar chain necklace with golden heart charm and 5cm extender. This beautiful new carded range is sure to have you shining this season! Each finished with its own uplifting words to live by and a beautiful heart finished with a unique heart shape and colour. We simply adore these and sure you will too. 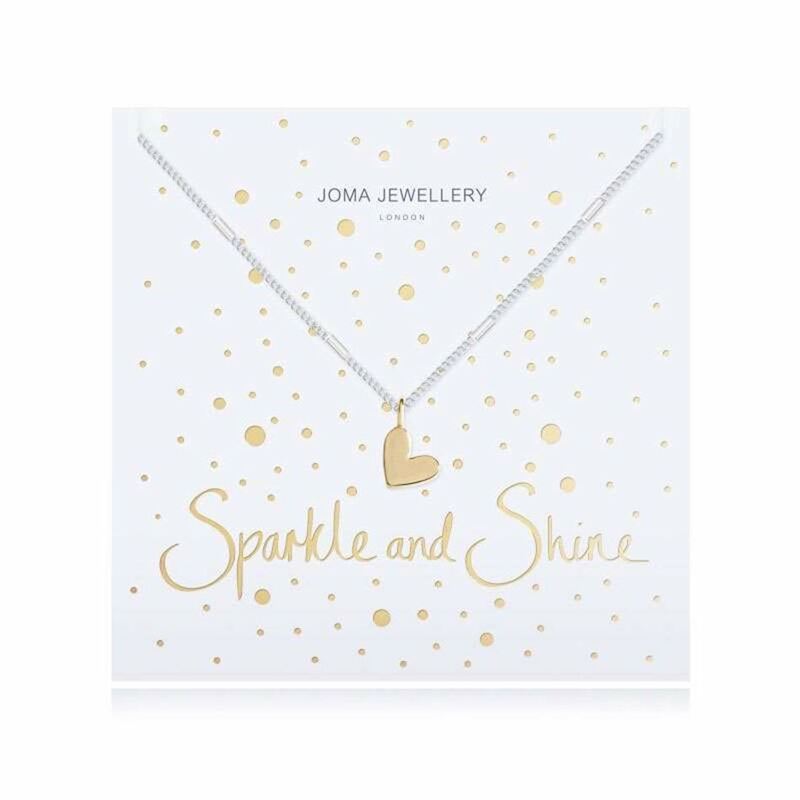 This gorgeous golden heart charm falling from a silver dash chain necklace is sure to help you sparkle and shine every day.